Quite shocking for Naveen Waqar’s fans is to tie her wedlock with the well known television artist and director Azfar Ali, who is also a father of two kids. 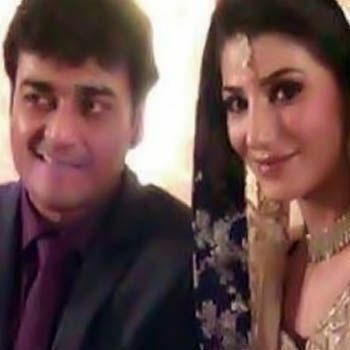 The Humsafar famed actress Naveen Waqar has recently got married to the famous actor, producer and director Azfar Ali in a grand wedding ceremony. Azfar Ali runs a production house by the name of “Kolachi Productions”. He was married to Salma for past 9 years and has two children from her. A few months ago, Azfar Ali and Salma were divorced after which Naveen Waqar got fit in the space. Naveen Waqar is a RJ turned VJ and then got recognition with her role as ‘Sara’ at big hit drama serial Humsafar. We congratulate Naveen Waqar and Azfar Ali for beginning a new life together.